The deadline for my next exhibition Some Abstraction Required at the Spartanburg Art Museum in South Carolina is quickly approaching. The group exhibition runs from April 5 to June 12 with the opening being held on April 21st. 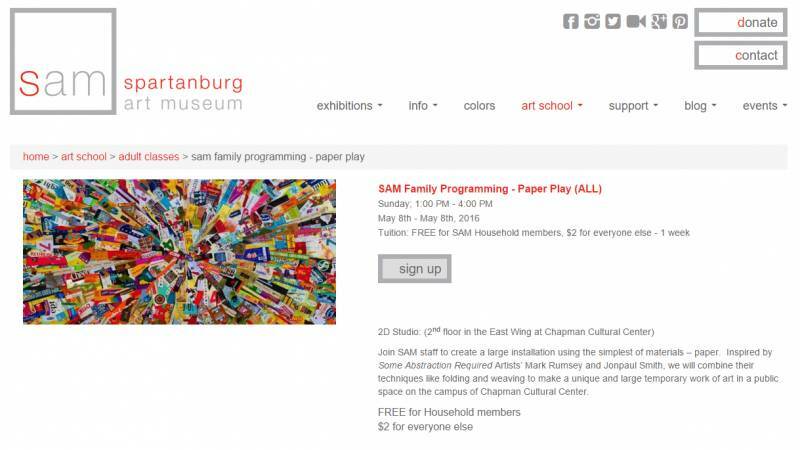 I noticed the other day that the Spartanburg Art Museum was offering as part of its family program – Paper Play. That is a detail image from my work Ka-Boom they included on the website. Sounds like a great time.